What are your sleeping bag needs? Here are some sleeping bag questions you can ask yourself to help decide what youll need. 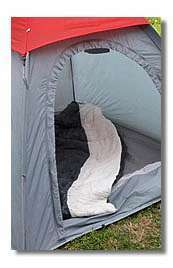 Answer each question and you should have a better idea of what you are looking for before purchasing your sleeping bag. How will you be using it? Will you be backpacking or hiking? Or do you just need a bag for a family camping trip? What time of year will you be camping? Will you be doing family summer camping, spring through fall excursions, or rough winter camping? Consider your budget. How much do you want to spend? Can you save money by getting a higher quality bag on Amazon.com . Where will you be using it? Will you be sleeping in a tent? Out in the open? In a lodge or cabin? What areas will you be using the sleeping bag? Will it be in wet areas, dry deserts, or mountains? What comfort level do you want? If weight isnt a consideration, do you prefer a roomier, softer, more comfortable bag? Are you used to the cold night air or do you chill easily? Is the weight and compatibility important? Will you be carrying it for a long distance? Do you have limited space? How long do you want it to last? Would you prefer to get a cheaper one and replace it later? Or do you want a higher quality sleeping bag that will last many years? Is flexibility important? Do you need one bag to meet all your needs, summer through winter? How often do you intend to use it? Is this a once a year camping trip? Or will you be using it very frequently? Who will be using the bag? Man, woman, or child? What is their body shape? Have you considered a double sleeping bag? How much extra room do you like? Do you sleep still at night or do you tend to toss and turn a lot? What kind of shell material do you need?